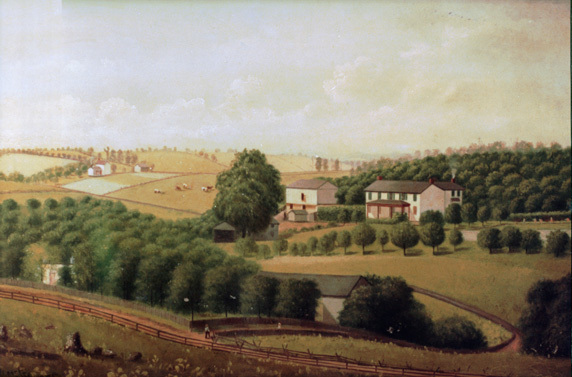 The Abbott Family Farm, Scott Township, Allegheny County, PA. Austin C. Wooster, 1875. Oil on wood, h 17.5, w 25.75 inches. Donley Collection. More about this painting. We dedicate this site to our husband and father, Harold Edward Donley, who taught us to appreciate the family's history and heritage. Stories of Grandfather Abbott, the Abbott farm and the Abbott Packing Plant filled our days together. He never knew much about the LaValle side of his family, because his father died when he was only six years old. We are attempting to fill some of the void that he felt by researching the LaValle family history also.